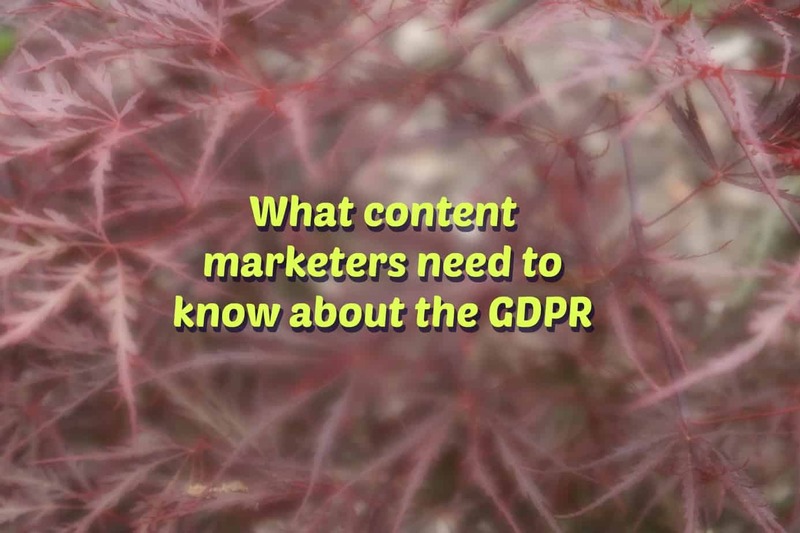 As May 25 draws closer, content marketers can hardly open a browser tab without seeing thought leaders theorize about what the GDPR means, how the text will be interpreted, and what the impact on businesses will be. If you want to cut through all the academic discussions and get down to the nuts and bolts (or, as a former colleague used to say, “put the hay down where the goats can get at it”), check out my article on the nDash blog for practical tips that any marketer can do right now. These tips alone won’t make you 100% compliant, but they’ll get you started. And they’ll demonstrate a good-faith effort on your part, which most people think will carry some weight.